If you have been involved in an auto accident in Arizona, you are far from alone. The state government reports that almost 120,000 such accidents occurred in 2008, and of those accidents, more than 37,000 resulted in at least one person being injured. When broken down, that's more than 3,000 injury accidents per month or more than 100 per day in the state. What's also troubling about those statistics is that many of those who are injured are not sure where to turn for help. 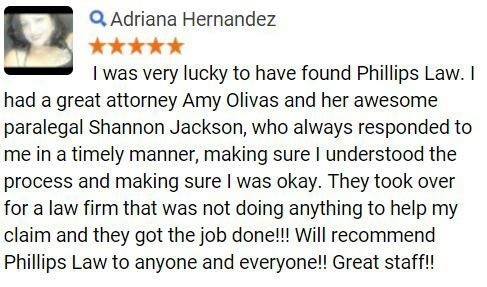 Given the intricacies and norms involved with the legal world, anyone who has been injured in an auto accident should immediately seek the help of a personal injury lawyer. If you have been injured in an accident, you're likely dealing with the medical, emotional and financial fallout of the occurrence. This reality involves time, pain, stress and anger. When anyone is in such a state, making technical decisions that are not only sometimes difficult but that which require a high degree of experience and skill is not advisable. 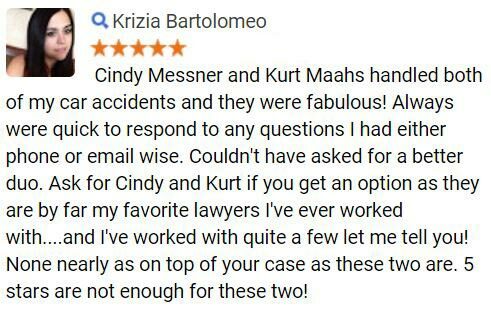 Hiring an Arizona accident lawyer will allow someone else to make those decisions as you concentrate on getting better as soon as possible. Many Arizona accident attorneys will, depending on the facts of your potential case, agree to represent you on a contingency fee basis. What this means is that you will not have to pay a retainer fee to get an action started, and your attorney will only be paid a fee if he or she successfully negotiates a settlement that's in your best interests or wins a verdict if the matter goes to trial. Therefore, your risk is very low when attempting to properly protect and enforce your legal rights. If you have been injured in an accident, you're likely starting to see mounting medical bills and are perhaps beginning to obtain an idea of what it could cost to rehabilitate yourself back to health. In addition, you may have lost income as a result of being unable to work and suffered property damage to your vehicle. Working with an experienced accident attorney will provide you with the benefit of having someone on your side who will be able to help you quantify your damages and to put his or her skill to work in order to fight for the maximum amount of compensation. 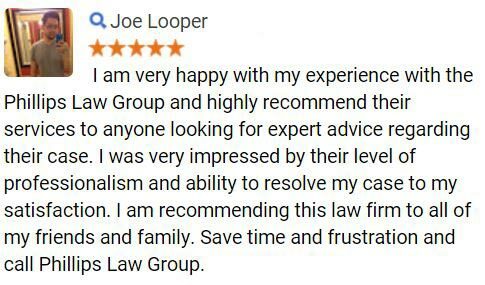 As you can see, the aftermath of an injury accident is no time to attempt to learn the law and how to practice it when your own rights are on the line. 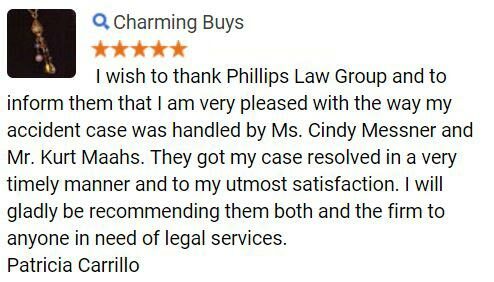 Phillips Law Group is a law firm with an entire team of car accident lawyers in Phoenix, and the firm not only offers free initial consultations, but will also take some cases on a contingency fee basis. Contact the firm today to get the process of protecting your legal rights started.